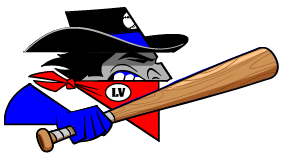 Nick Oddo came off the bench and never even had to swing his bat as Oddo reached on a in the nine to lead the Las Vegas Train Robbers (13-27) to a 10-7 win over the Raton Osos (15-25) on Thursday at Gabriele Park. With the score tied at seven in the ninth inning,. Ridge Gonsoulin blasted two home runs for the Las Vegas Train Robbers. Gonsoulin went 2-4 in the game with three RBIs and four runs scored. Gonsoulin homered in the fifth and twelfth innings. Deporte Joel improved to 1-2 on the year by picking up the win for the Las Vegas Train Robbers. Joel struck out one, walked none and gave up one hit. Richard Suniga couldnt get it done on the hill for the Raton Osos, taking a loss. He lasted just two innings, walked none, struck out two, and allowed three runs.